On October 1, 1908, Henry Ford released a car that was made for the masses: the Model T. Thanks to the savings provided by assembly line production, the Model T was the first car that was truly affordable for families everywhere of any class. It was a reliable, well-made car that could reach 45 miles per hour, achieved 13-21 miles per gallon of gasoline, and was easy to maintain. The Model T revolutionized transportation, and it was originally built to run on ethanol. Henry Ford foresaw the future of ethanol, believing that ethanol could eventually be made from anything that was fermentable, including fruits, weeds, potatoes and sawdust. He envisioned an America that would grow its own fuel, empowering a society with an agricultural backbone. However, the forces of his time — Prohibition policy, the economic downturn of the Great Depression, and cheap oil flowing from wells across America — hindered his vision and ethanol became a thing of the past. 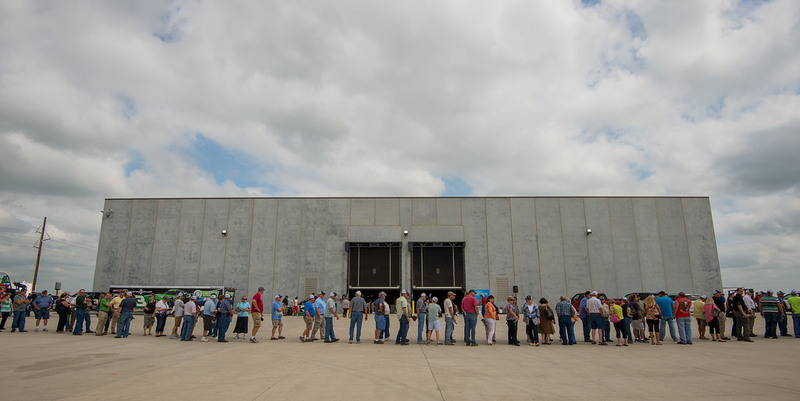 Today, we are on the cusp of an energy revolution again with the opening of POET-DSM’s Project LIBERTY in Emmetsburg, Iowa. 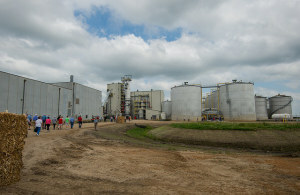 Project LIBERTY is the first commercial-scale cellulosic ethanol distillery to open in the United States and holds the promise of being the future of ethanol and energy. Cellulosic ethanol is produced from cellulose, a non-grain feedstock that makes up the cellular structure of plants. Cellulose is the most abundant organic compound on Earth and as such, the potential for ethanol produced from cellulose is enormous. In the United States alone, the Department of Energy estimates that there is 1.3 billion tons of harvestable cellulose that could be used for energy production. At Project LIBERTY, 770 tons of corn cobs, leaves, husk and stalk will be used daily to produce 20 million gallons of cellulosic ethanol per year. Feike Sijbesba, CEO and Chairman of DSM, His Majesty Willem-Alexander, King of the Netherlands, and Jeff Broin, Founder and Executive Chairman of POET at Project LIBERTY grand opening. 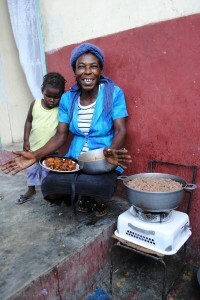 PGI beneficiary, Natralie, cooks with ethanol made from sugar cane in Haiti. Worldwide, the potential for cellulosic ethanol is considerable. In Asia, rice straw, a by product of rice production, must be removed from the paddies before a new crop of rice can grow. Often, the rice straw is simply burned since it has little value. In Brazil, Haiti, Ethiopia, and other areas with sugar cane production, bagasse is a by-product of sugar production. The bagasse can be burned as part of a co-generation scheme or to reduce black carbon emissions, it now could be used to produce ethanol fuel. Cellulosic ethanol has the potential to produce large quantities of liquid fuel that could be used not only for transportation, but for clean household energy. It would breathe life back into farming communities everywhere while adding value to normally cumbersome waste and residue. With the opening of Project LIBERTY last Wednesday, September 3rd, now is the time to do all we can to support further exploration into cellulosic ethanol. POET-DSM has proven it is possible, but for this new energy order to survive, it needs markets and the support of policymakers and the public. You can help by casting your votes at the pump, demanding flex-fuel vehicles, and supporting Project Gaia’s work with clean cookstoves. Photos by Greg Latza and courtesy of POET.